They will likely be entitled to compensation for their medical bills and lost wages. The Denver workers’ compensation lawyers at the Bisset Law Firm are here to help them secure the benefits that they need and deserve. Tendonitis of the knee joint. 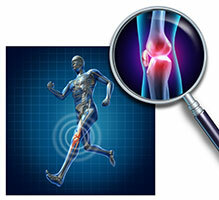 Have you sustained a knee injury while working? If so, the skilled Denver workers’ compensation attorneys at the Bisset Law Firm want you to know that we are here to aggressively advocate your rights to compensation. Our experienced legal professionals are dedicated to providing each of our clients with the highest quality legal representation, keeping each of our clients informed and in the loop at every stage of their cases and, ultimately, helping them obtain the best possible results for their cases. When you choose to work with our esteemed Denver workers’ compensation lawyers, you can trust that we will work diligently to keep your case moving and keep you advised of every development in your case. While this means that you can count on us to promptly return every one of your phone calls, it also means that we are committed to meeting all of your case deadlines in order to help you secure the maximum possible compensation for your injuries and losses. In addition to being diligent and dedicated, our attorneys are upfront and honest. They will keep you informed of the strengths and weaknesses of your case, the choices and possibilities that you have as you move through the process, and whether it makes sense to settle your case or go to trial.